This is a message to my Christian brothers and sisters. I am a Jew who has studied Christianity to the best of my ability for the last 15 years. I have grown to love Christianity. As an outsider, I will accept your status as a Christian if you merely affirm to me that you are one. But if you can support this President and his proposed ban on refugees, which stands in direct opposition to the teachings and the life of Jesus, then the religion you are practicing bears no relationship to any I am familiar with. I urge you with all my heart to return to the religion of your Bible and embrace the refugee stranger as your neighbor. I get it: very few of us possess the ability to love our enemies. But if you are the Bible followers you claim to be, you know that God has ordered us dozens of times to remember that we too were slaves in Egypt, and commanded us to love the stranger as our neighbors. Do not imagine that God looks on our relatively safe and comfortable life in America, and thinks this is our due. The Bible recites how God has thrown his people out of their homes and into exile for failing to obey the Bible's commands. God ordered us to love and care for the stranger, knowing full well that we might be required to sacrifice some of our safety and comfort in order to benefit the poorest and most desperate of our brothers and sisters. The chance of your ever being injured by a terrorist is almost nil. The chance that you will have to confront your God is up to you to calculate. If you cannot act out of love of neighbor, then for God's sake and your own, act out of fear of God. While we’re on the topic of Catholics, consider what another prominent Catholic said on the topic of refugees. Pope Francis said, "It’s hypocrisy to call yourself a Christian and chase away a refugee or someone seeking help, someone who is hungry or thirsty, toss out someone who is in need of my help." So should we affirm the meme that tells us that "Jesus was a bleeding heart, long haired, anti-establishement, peace loving, hippie, liberal freak with strange ideas and two fathers"? 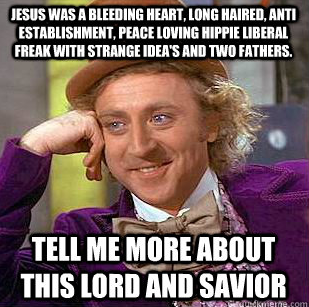 Historically speaking, "bleeding heart" and "hippie" are anachronisms and Jesus probably had short hair anyway. But let's just focus on the word liberal. Jesus' politics didn't look like my modern, American politics. Jesus had no notion of the separation of Church and State. In fact his central message was about the "Kingdom of God." Jesus was a faith healer. Jesus was a preacher. Jesus (as much as it makes me uncomfortable) preached about hellfire sometimes. In these ways and so many others, Jesus was a conservative Jew of his time. So we must ask, did his many disputes with "religious leaders" stem from his liberalism? 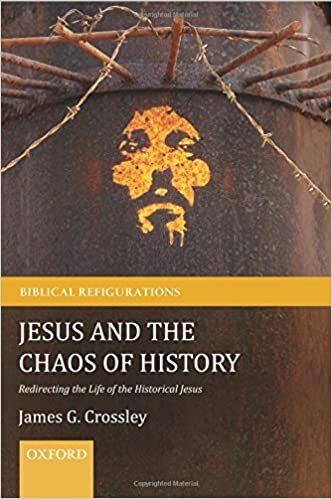 Or did Jesus start these arguments because he wanted his fellow Jews (Pharisees, scribes, priests, etc) to return to a more traditional understanding of the law? After all, isn't shalom a traditional value? Isn't care for the poor a traditional value? Doesn't the Hebrew Bible mandate care for foreigners? On all of these points, Jesus seems to be quite conservative for his day. So if Jesus wasn't an ancient liberal, he most certainly wasn't a modern liberal. But let's be clear: neither was Jesus a modern conservative. Jesus' economic values are heresy to modern capitalists. 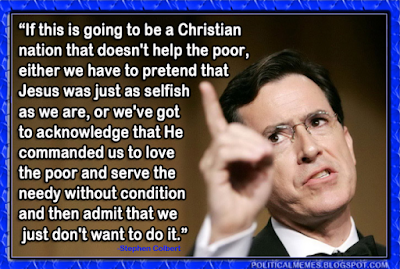 Jesus' "family values" don't look anything like those of American conservatives. Jesus' stance against violence makes him altogether Amish compared to the likes of Washington, Lincoln, Kennedy, and Obama. Pope Francis was undoubtedly correct that Jesus would find himself on the other side of Trump's great wall. So what? 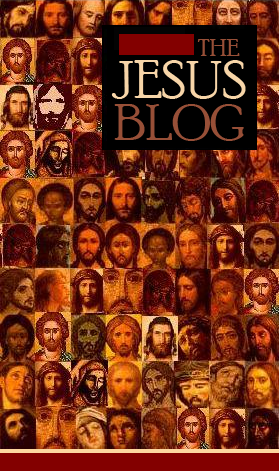 Why should the modern conservative or liberal care about Jesus at all? Jesus continues to represent an awkward and uncomfortable obstacle to all modern, political discourse. His voice is challenging to modern Christians in particular because his self-proclaimed followers are on both sides of the aisle in America. This brings us back to Donald Trump and his "America First" cabinet. The liberal argument against Trump is not that he is too conservative. In almost every way, Trump is not a conservative. The liberal argument against Trump is that he is not conservative enough. This, by the way, is also the Jesus-loving Christian argument against Trump. For us modern liberals, Trump stands against peace, against the outsider, against Jesus' economic values. He cannot call himself a follower of Jesus in these ways. He is not nearly conservative enough. In my politics—I must confess—I am not like Jesus. I am not nearly conservative enough on matters of economics and foreign policy. And as I try to become more conservative on these matters, I find myself resisting Donald Trump's liberalism more and more. 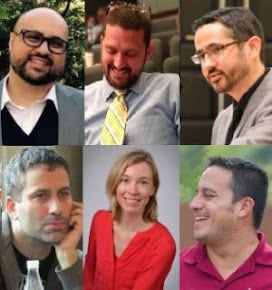 Anthony Le Donne (PhD) is Associate Professor of New Testament at United Theological Seminary and the author of Near Christianity: How Journeys along Jewish-Christian Borders Saved my Faith in God. You wrote this just to provoke a lecture from me about Krister Stendahl’s systematic theology. Right? Stendahl’s most important contribution to theology can be boiled down to this simple understanding of Bible text. What it meant is not what it means. The Bible was written more than 2,000 years ago. Some of its original languages are no longer spoken. It was written for a culture so far distant from our own, we can scarcely put ourselves in the place of its original audience. If we are to respect the Bible, we must also respect this distance. Whatever it is we think the Bible means to our present situation, we can’t possible imagine that this meaning is the same as what it meant back then. Does this mean that Stendahl argued for the present-day irrelevancy of the Bible? No, no. He argued that, whatever authority the word of the Bible may have had when originally spoken or written, it does not have that authority now. What it means is not what it meant. But just as clearly, the Bible means something. We don’t ordinarily toss out our most important texts because of the passing of the years. Instead, we look in these texts for meaning in our current context and situation. This is necessarily a creative effort when it comes to the Bible, in that we are apply rules originally written for a relatively simple agrarian people and applying them to a radically different circumstance. As a result, we are forced to acknowledge that our creative application of ancient text to modern times cannot carry the same authority as did this same text to its own time. So … was Jesus a liberal? Would he have voted Socialist? Because he healed the sick, does that mean he would have supported Obamacare? We don’t know, and we cannot know. But … can we look carefully at the Gospels, and with a bit of creativity, translate Jesus’ concern for the “least of these” into a concern for the poor, the outcast and the refugee? I think we can. Can we imagine Jesus’ reaction to ordinary Americans who possess but will not share material wealth beyond the first century imagination, given the statements recorded in his name about camels and eyes of needles? I think we can. The danger here, as Stendahl would tell us, is not in the exercise of our creative imagination, but if we suppose that we can speak for Jesus today with the authority Jesus spoke with in his own time. So … I await a conservative to come forward and argue that Jesus spoke for the extreme vetting of refugees, and that we can refuse to help the stranger if we fear him or her. I mean, there are creative efforts and creative efforts. Larry, as you know I am a fan of Stendahl. But his "what it meant" vs. "what it means" distinction isn't and cannot be the final word on the topic. But if I'm reading the second half of your statement here correctly, I think you'd agree that it is possible to take this distinction too far. You write, "...a relatively simple agrarian people..." Not sure how to take this. I will leave it alone for now. Yes. A relatively simple agrarian people. Think American Gothic, with a kippah and snood. Yes. What It Means bears a relationship to What It Meant. 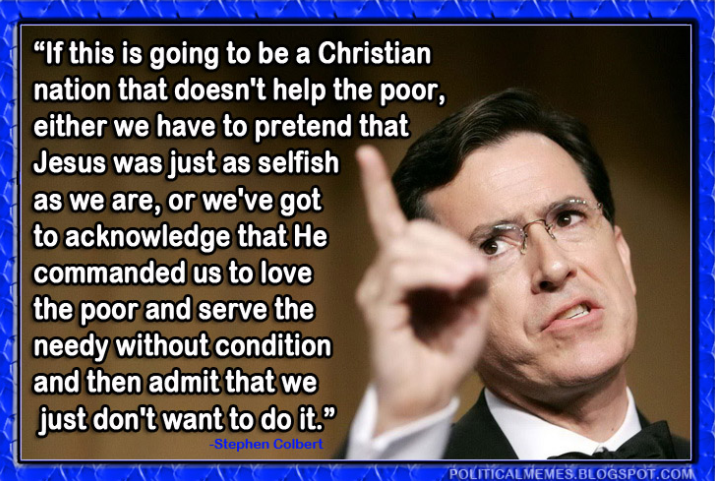 Which is why we can say with some confidence that Jesus probably would not have cared a whit about deficit spending. (I've heard the argument made to the contrary.) So when you point out that Jesus would not have separated church and state in his day (because religion and politics were not separate in Jesus' day), well, maybe. (His Kingdom was not of this world, and render unto Caesar, so maybe not.) He sounded more like Jonathan Edwards than Tony Campolo? Maybe. A stickler to the letter of the law? Sometimes. Were our liberal values akin in many ways to Jewish conservative values? More than maybe. Mostly, we can say that Jesus was of his time and place, and he cannot neatly be lifted from his context into ours. WWJD? YGIAGAM. If you want, we can leave it at that, but few ever have or seem to want to. So long as we don't assume that Jesus was speaking to our time, and so long as we don't apply the authority of God's word to our answer to WWJD, I don't see why we shouldn't ask how Jesus' teaching applies to the poor, the homeless, the imprisoned and the refugee. I appreciate your complicating my efforts to do so, but I still say that Jesus would be demonstrating against these executive orders, even if we couldn't read the sign he'd be holding.